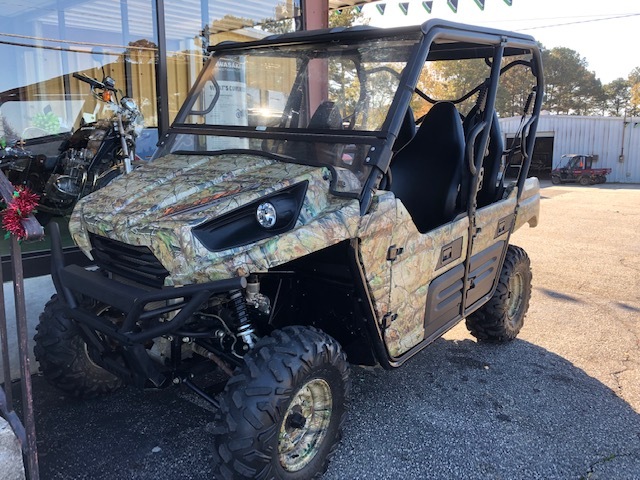 There’s little doubt: Kawasaki’s all-new Teryx4 750 4x4 is the best possible vehicle for transporting a group of outdoorsmen – and their gear – to that far-off campsite. Its size, carrying capacity, range, durability and amazing performance make the statement a no-brainer. Front suspension / wheel travel: Adjustable dual A-arm with fully adjustable, gas charged, reservoir shocks / 7.8 in. Rear suspension / wheel travel: Adjustable Independent Rear Suspension (IRS) with fully adjustable, gas charged, reservoir shocks / 8.3 in.